Tulip's superior quality embroidery needles, also known as crewel needles, are the result of over 30 processes. 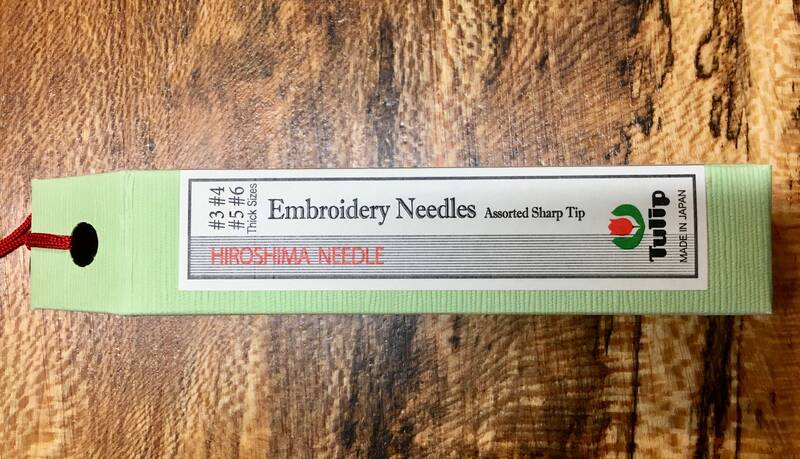 The needles are tapered and sharpened to easily pierce fabric. The needles are tempered by closely monitored heating & quenching to produce strong needles with just the right amount of flexibility. The elongated eye of the needle is designed to accommodate thicker thread or strands of floss. The gold-plated eye is easy threading and polished thoroughly to prevent snagging. The needles are nickel-plated making them glide effortlessly through the fabric. Tulip needles embody the marriage of precision technology with 65 years of traditional needle production. You will receive 8 needles in a four size assortment pack. 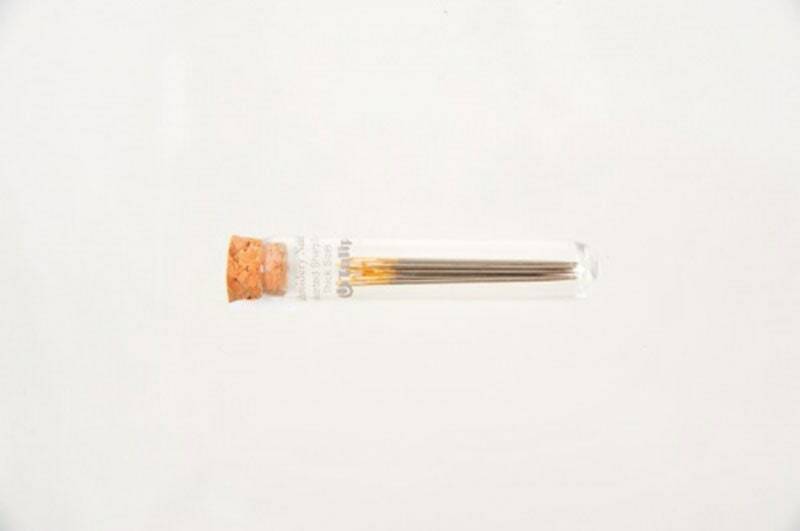 Thick assortment contains 2 of each #3, 4, 5 & 6 within a labeled, clear, cork topped tube.